3. Get up to date with technology and get rid of CD player. Get a solar powered… cassette player. 4. Move to Canada to get away from hurricanes and earthquakes in New York. 5. 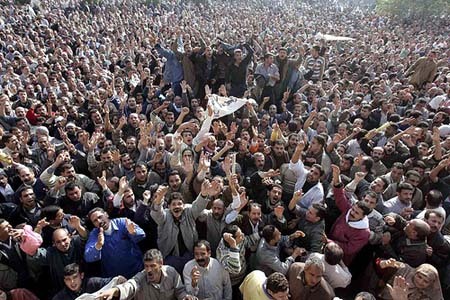 Use social networks like Twitter to spark a Canadian spring. 7. Become the Republican nominee for the Presidency so that I can do three things: (1) Stop hurricanes and earthquakes, (2) Miraculously eradicate unemployment despite global economic problems, and (3) Ah. Ummm. What’s the third one? Oops. 8. 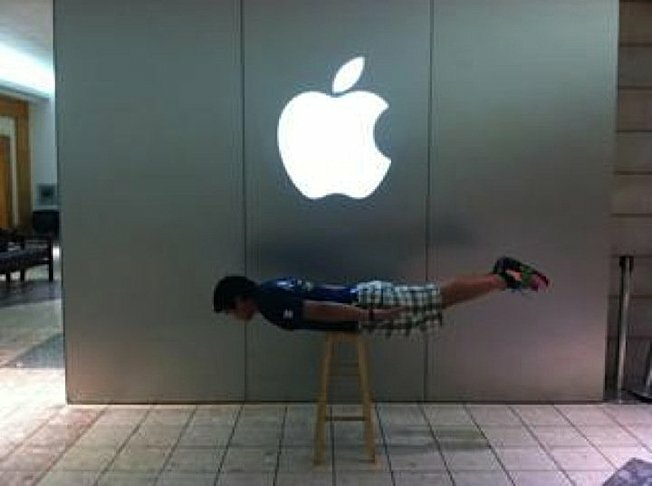 Become really good at planking so that I can get endorsements from Nike... and Apple. 9. 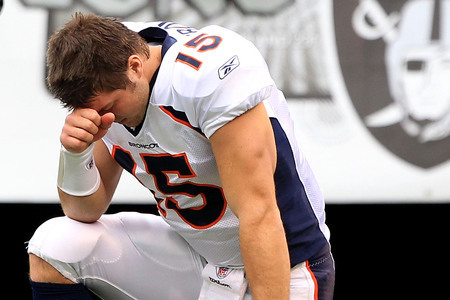 Tebow five times a day. 10. Come up with a more serious list of New Year’s Resolutions. Polygamy (Part 2): Does God Hate Women? just the stance women have to take. learned about, and even in circumstances around me. as they please concerning the issue of women. offspring, especially male, to carry on their line. of believers read and follow these words? did not encourage. She wasn't very convinced. woman. I almost feel like I'm encouraging self-hate. were born a man, though I hate to admit it." Thank you for your response. To respond to your response, let me first clarify something regarding how women were encouraged to marry her husband¡¦s brother after her husband dies. She was only allowed and encouraged to do this after her husband dies. When you remarry another man after your husband dies, it is not polygamy and it is not adultery. After your spouse dies, the marriage is no longer binding. (This is true even today, which may have something to do with the phrase ¡§til death do us part¡¨. See also 1Corinthians 7:39-40.) In the times of the Old Testament, (as far as I know) women were not allowed to practice polygamy (Numbers 5:11-31). Only men could practice polygamy and have more than one wife (back then). I know you must be even angrier about this double standard. But before you get too mad, please first continue reading this. First of all, let me mention that it is human society that you should be mad at, and not God. The customs of polygamy back in those days were from men, not from God. However, God did allow it (although he probably did not like it too much). However, there were other things that God allowed that he didn't like too much, which he no longer allow later. For example, divorce is one of these things. I speculate that God allow us certain things (like polygamy and divorce) that he didn't like (and knew wasn't good), probably because of our stubborn heads and hard hearts. You know how we are as humans, when we understand something as one way and we are so used to certain customs. I think God kinda went along with us in our imperfection and hard heartedness (probably to save more of us). But this is only my speculation. However, I do have bible verses that is consistent with my speculation. If you look in Matthew 19:1-8, one of the issues that God kinda went along with us in our imperfection is the issue of divorce. He clearly didn¡¦t like the idea of divorce since that was not what he originally intended of a married couple. However, he went along with our imperfection and he allowed divorce (back in biblical times) because of our hard hearts. (Matthew 19:1-8) I believe it is the same with the issue of polygamy. Like divorce, God probably wasn¡¦t really happy with it. I think he went along with it so that more people would be saved. (As many Israelites as there were that turned against God back in those days, many more probably would turn against God if God didn¡¦t went along a little bit with our imperfection). Again, this is my speculation. So, I don¡¦t think you should be mad at God, when you should really be mad at man¡¦s society and how man are stubborn to cling to man's customs. Let me also ask you another question. Other than the fact that men were able to have multiple wives and that ¡§they could do as they please¡¨, there are probably so many other things in history that you (and we all) could be very mad about. What if I tell you that I am very angry about Peloponnesian War that happened more than 2000 years ago. I am very angry about how the Spartans were treated. Wouldn¡¦t you be telling me, ¡§It doesn¡¦t make any sense to be angry about something so long ago?¡¨ And this is exactly my point. Regarding the issue of leadership of women in the church and your quoting of what Paul said in 1Corinthians, this is a very controversial subject among different Christians. God taught me about this back in 2002 (with a whole chain of events that happened that year which I¡¦m not going into). Anyway, my brief response to this subject is: if you look at the context of which Paul spoke, and at the bible as a whole and not just that one verse in 1Corinthians, you would see that God does allow woman to teach (let alone speak) in a church. This issue would really require a lot of writing and pulling scriptures from the bible. So I am not going to get into it here. . I've been intending to write an article about this issue, but I¡¦ve been putting it off (probably because I know how long the article would be). Also, I don't think you should feel like you're encouraging self-hate being a female Christian. You should focus on all the examples in the Bible of how God loved and cared for the women who loved him. There are so many. Also, if your non-Christian friends dislike Christianity because of the male dominated stories in the Old Testament, I highly recommend that you start them on the New Testament such as the Gospels of Matthew, Mark, Luke, and John. In my opinion, I always discourage starting beginning Bible students with the Old Testaments. I think they should have a good understanding of God from the New Testament before they start reading the Old Testament. Polygamy (Part 1): Does God Allow It? 1. "Polygamy was an accepted custom" and God WAS okay with polygamy in biblical times (especially when having children and many descendents were more important than it is today). 2. Although God was okay with polygamy (at that time), he warned against taking many wives. The essay cites Deuteronomy 25:5-10 as proof that polygamy was allowed. This is not the correct passage to show that polygamy was allowed (although there are many other passages in the Old Testament that shows that polygamy was allowed by God in biblical times). What Deuteronomy 25:5-10 does show, is that marriage is binding only until death. That is why when a woman's husband died in those days, the woman is encouraged to marry the husband's brother to provide descendents from her husband's family. Since her marriage to her first husband is no longer binding after he dies, she is not practicing polygamy. (Even today, marriage is only binding until death as shown in 1 Corinthians 7:39-40. One possible reason why marriage is no longer binding after death could be found in Luke 20:34-36 but I digress.) Although Deuteronomy 25:5-10 is not a good passage to prove the case of polygamy in biblical times, it does show the importance of women having children or providing descendants for her husband (even after he dies) in those days. Today, polygamy is not allowed. I could see why God forbids polygamy today. It is for our own good. In biblical times when polygamy was accepted, there were more conflicts within the families of more than one wife (Genesis 16:3-6). Even looking at circumstances today, I can see why forbidding polygamy is for our own good. Here's how I look at it. I can see how the married men of today already have their hands full, dealing with just one wife and kids from her. In most cases, there are more than enough problems and things to deal with, having just one wife and kids. I think all the married men could completely understand what I am saying here. I can already imagine how impossible one's life would be to have many wives. It is probably not easy to live with many wives. It is not easy living with many females. When I was growing up, I lived with five females (i.e. 4 sisters + my mother). I can tell you from experience that it is not easy (especially in the morning when there was only one bathroom). A long time ago, the show 20/20 on ABC actually did a story on polygamy in America. There are actually a few men remaining in America who have more than one wife (although only one is legally registered). Most of these men that they interviewed on the show were fundamentalist Mormons. I believe they are remnant from the time when the Mormons still allowed polygamy not that long ago in history. Anyway, these men were mostly saying how tough it is to maintain more than one marriage and the kids from these marriages (in terms of finance, energy, and time). It is not that hard to see why God now forbids polygamy for our own good. 1. "Polygamy WAS an accepted custom" and God allowed with polygamy in biblical times (especially when having children and many descendents were more important than it is today). 2. Although God allowed polygamy in ancient times, he warned against taking many wives. If you haven't done so already, set your clocks back one hour (relevant for most areas in the U.S., effective this morning.) However, I guess the worst that could happen is that you'll be an hour early for work on Monday. When I was younger, the sight of a cemetery depressed me and saddened me. I’ve come a long way since then. A few days ago, I happened to be standing on elevated ground overlooking a cemetery on both sides. Instead of sadness, I had this feeling of comfort and clarity. If you are to die soon, what would you want to do before your departure? Think about that. Do you want to feed the hungry? Serve another segment of the human population? Apologize to someone. Bring three people to God? Sing in front of people? Visit Spain. Bring 300 people to God? Make sure your family’s taken care of? Produce a music CD? Visit Fiji. Bring 3,000,000 people to God? Leave your message whether it is in the form of a book, a blog, an audio form, a video form, and/or any other form? Do you want to do some or all the above? Well guess what? You are going to die soon. I am going to die soon. We are all going to die soon. Not necessarily tomorrow or even next year. (Unlike the cults, I am not predicting the end.) Even if I live for 30 more years or 60 more years, that is still soon. Ask anyone above the age of thirty and they will tell you how fast the years go by. As a Chinese adage goes, “There are not many ten-years in life.” If you are above thirty, you already know this, but maybe you just need a reminder. So, with this lesson or reminder brought to your attention, what do you want to do now? Do you want to continue to stay on the common path of just surviving or just existing, and never truly living the life you were meant to live? I understand that you have to be “realistic” and you can’t just change course immediately because you have to make a living. However, I think you should at least start thinking about it daily. Have the intention daily, if you want to get out of the common mode of just existing. 1. Think about what you want to do with the rest of your life, knowing that you will die. Keep what you want to do in your daily intention. 2. Talk to God about it. 3. Write them down in your journal. Tsunami warning for San Francisco, West Coast, and Hawaii. Be prepared to get to higher grounds. (Domino effect from earthquake and tsunami in Japan. In a separate situation, flood watch for New Jersey and tri-state area.